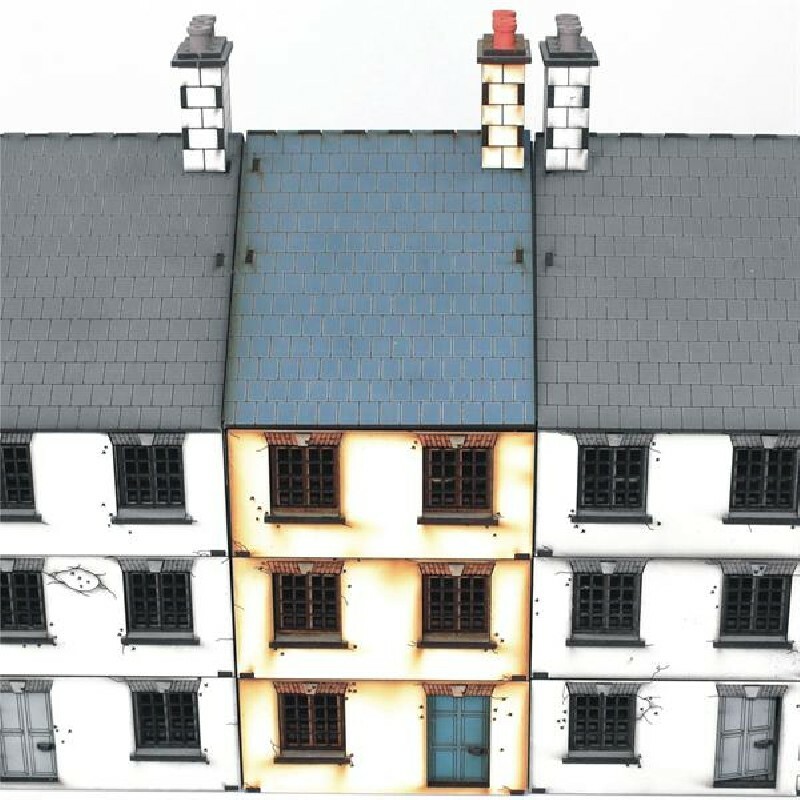 This Three Storey Mid Terrace is a great addition to any urban terrain collection, from the C18th to the modern day. When combined with two Three Storey End Terraces it makes a large group of buildings that will require intense house to house fighting for your soldiers to clear. You can combine Mid Terraces together and with the End Terraces in place you can have a truly awe inspiring street for your battles. A really great piece of terrain designed to help you create a dynamic and interesting battlefield, whether it be as a Terrace attached to a farm or part of a huge city fight. This kit has many pre-painted parts and, as you would expect from 4Ground, comes to you with high levels of internal and external detailing. The external walls have seen a fire fight or two with optional damaged pieces; in places you are able to remove plaster for exposed brickwork or even remove the bricks to make a loop hole and get a better firing position for your soldiers. As usual each storey is removable allowing maximum in-game access to each one of the many rooms. Once placed floors are locked in with locator lugs in each corner.